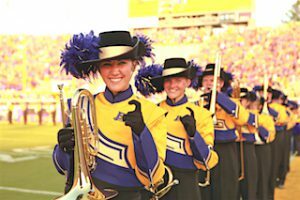 The East Carolina University School of Music is one of the premier music schools in the Southeast with recognized and comprehensive music programs. Its predominantly online MM in Music Education degree recently was commended by the National Association of Schools of Music. 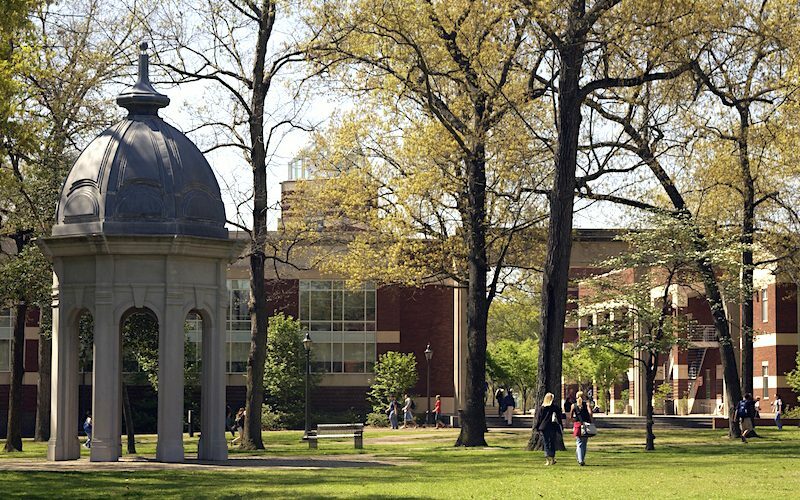 At East Carolina, you are a part of an intentionally small, high-quality student body of approximately 250 undergraduate and 70 graduate students. This select group works and plays (and almost lives) in the A. J. Fletcher Music Center, a facility dedicated entirely to music. The building features two large rehearsal halls and a 240-seat recital hall. Within the center are electronic piano labs, five organs, more than fifty practice rooms, faculty studios, the Music Library, and the Center for Music Technology. The Music Library’s collection contains some 90,000 books, scores, periodicals, and media materials representative of all types and periods of music. The Music MIDI Lab, the Center for Composition with Electronic Media, and the KORG Learning Center comprise the state-of-the-art Center for Music Technology, an outstanding resource and teaching facility for students and faculty. 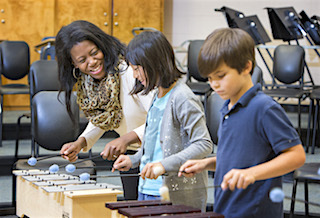 The School of Music offers some of the finest performances in the state. Student and faculty performances are held in the A. J. Fletcher Recital Hall, the Brody School of Medicine Auditorium, and the 1,500-seat Wright Auditorium. But beyond all the physical facilities, electronics, and square footage, one notices a feeling of excitement about the school, an atmosphere of camaraderie and belonging. The School of Music has a warm, caring atmosphere that you can’t see in a picture or find on a list. But you can feel it as soon as you enter the building and begin interacting with the staff, students, and faculty. At the East Carolina University School of Music, students, faculty and staff leave the premises reluctantly and look forward to returning! Please send me more information about scholarships, applications, and auditions for music students at East Carolina University School of Music. 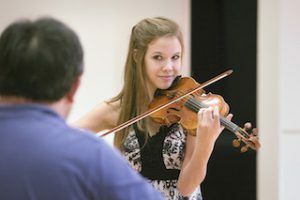 Your name and email address are held in strictest confidence by MajoringInMusic.com and East Carolina University School of Music... they will not be shared with anyone else.